It's simple - just don't get crushed. Great game! I Love it! Fun, fast paced, really good music, what more can I say? Congratulations! Easily the most polished game I've seen so far. Good stuff. Thanks - it was a very rushed implementation for sure though! The code is very inefficient and a bit messy - but it is a game jam after all. Perhaps I shall polish it and release a more complete version some day. honestly the hardest thing for me is to code right the first time. Too many times I go back and redo something because I get annoyed. My enemy ai went through 3 revisions and in the end didn't even really get showcased since I couldn't implement in time. Know the feeling - by the end of day 1, I had a buggy mess with unsatisfying game physics. Almost gave up! Glad I rushed to finish it in the end, but it's hard to get things right in such a short time. Quite nice! However, I have been crushed many times by the game when a rule would switch, such as the game adding sides or whatnot. That adds in a luck factor which is very frustrating because I get crushed by luck more times than I don't. Thanks! 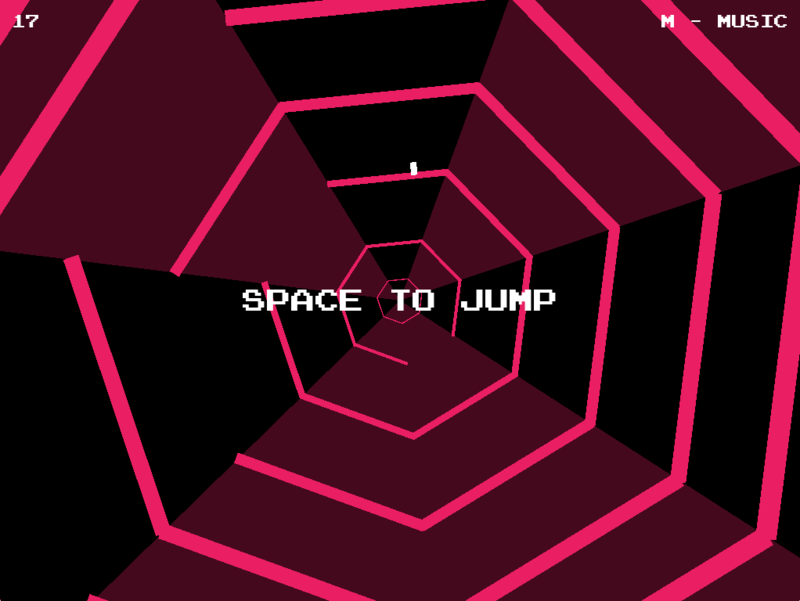 In most situations you can get out of avoidable deaths by jumping and reaching higher levels. This gives the player more time to react to changes. While it's possible to get quite far by staying on the base level, it's really easy to get into unavoidable death situations. You're right though - it's too easy to get caught out right now and I hope to address this. Thanks for the feedback. 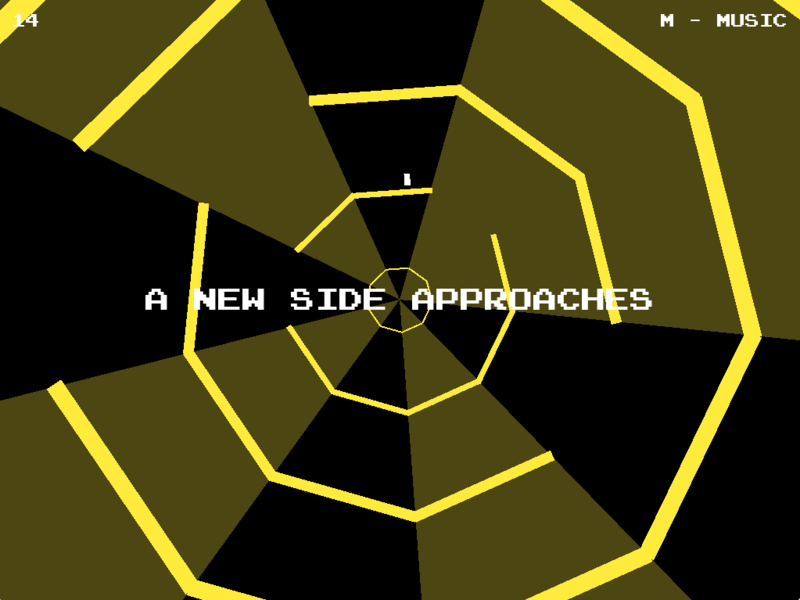 Super hexagon with a twist, i like it! The concept of jumping could be further expanded, as of now jumping is basicly optional. 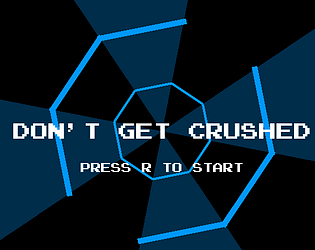 Very much inspired by Super Hexagon! You're right about jumping - this was a concern from the start. I plan to expand this to add additional "modifiers" that can occur, such as reversed gravity. Right now, it feels more rewarding/fun to jump, but most the time there's no reason to.